Over the last decade, Ryan has been a leading authority in franchise sales in WA and throughout Australia. 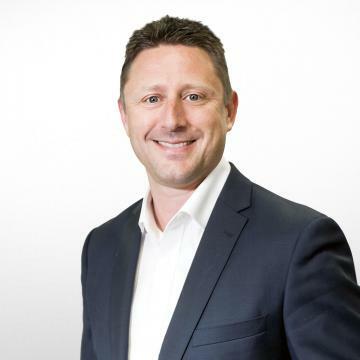 He has worked with all of the top 200 brands in Australia assisting with franchise resales, greenfield recruitment, and more recently the sale of a number of national brands. He has a unique view on the franchise industry through being a franchisee as well as working internally with franchise brands and leading suppliers to the industry. He has executed successful transactions in all types of business sales including Asset Sales, Share Sales, Mergers, Acquisitions & Management Buy-Outs. Ryan prides himself on his exceptionally high level of customer service, integrity and knowledge. In his spare time, he is normally spending time with his wife and three young children or training for Ironman & triathlon events. If you would like to sell your business, contact Ryan Willsher today on 0427 720 752 or email ryan.w@benchmarkbusiness.com.au for more information. - This great little business is perfect for a couple or family team. To complete a confidentiality agreement and discuss further please contact Ryan Willsher on 0427 720 752 or ryan.w@benchmarkbusiness.com.au Price - $250,000 Benchmark Business Sales & Valuations. - This very popular café is currently turning over an average of $38,000 per week. - A strong food offering compliments great coffee to form one of the best menus available in town. - A long lease in excess of 10 years offer a new owner security and more than capable lending capacity if required. - The business is currently run under complete management which can continue, though the café would greatly benefit from an owner operator being involved on a daily basis. Price - $650,000 + Stock. - This long running business has served the wheatbelt farming community for over 20 years. To complete a confidentiality agreement and discuss further please contact Ryan Willsher on 0427 720 752 or ryan.w@benchmarkbusiness.com.au Price - $650,000 including Stock, Freehold, Plant & Equipment Broker - Ryan Willsher Benchmark Business Sales & Valuations. When you join the Zambrero family, you’re joining Australia’s largest Mexican restaurant franchise with both on-the-ground support and a dedicated support office team to set up your new business for success. Since opening its doors in Brisbane in 1989, The Coffee Club has become Australia’s largest home-grown café group with approximately 400 stores throughout 9 countries, with upwards of 40 million dedicated customers. The Mandurah Forum café was recently re-opened in April 2017 after being relocated as part of the Shopping Centre redevelopment. This business boasts the following qualities: - 150 seats situated over 220sqm including a 50 sqm licensed area. Price - $1,050,000 + Stock at Value. - This is perhaps Perth’s largest playcenter fitted out with a huge range of equipment and rides. To complete a confidentiality agreement and discuss further please contact Ryan Willsher on 0427 720 752 or ryan.w@benchmarkbusiness.com.au Price - $350,000 + Stock Benchmark Business Sales & Valuations. This fast-growing cleaning company was started in 2016 and has grown revenue 30% year on year for the past 3 years. The owner has to now move on to the next stage of her life and is offering a highly systemized and structured business for purchase to an owner operator or larger cleaning company who will continue her high level of service and value.